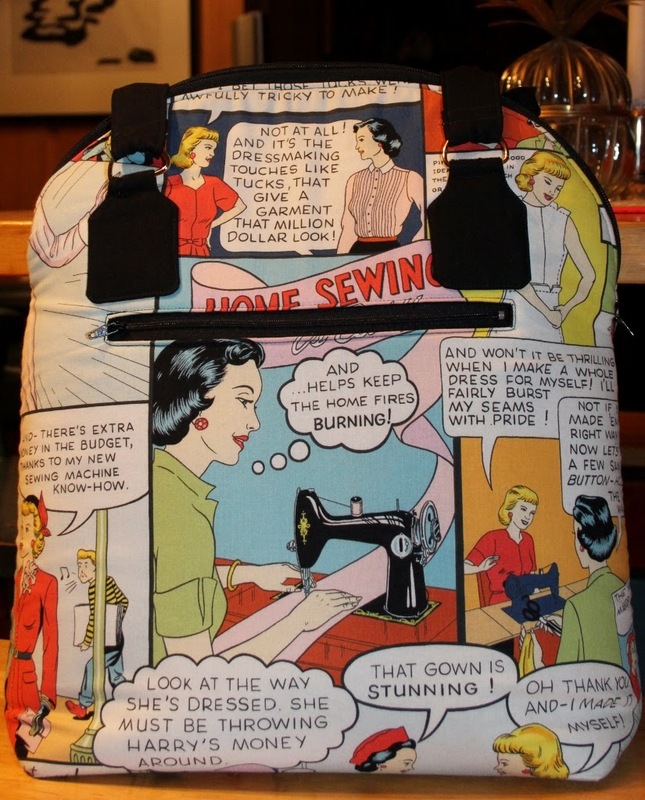 The January bag is by designer Sara Lawson of "Sew Sweetness". She makes wonderful bag patterns, and they are super easy to understand! The pattern we chose was "the Byebye love bag"
So many wonderful bags were made in January, It is so great to see how different they all came out just by using different fabrics! I like cartoon fabrics though I never purchase them. A bag would be such a good use for it. That's adorable! 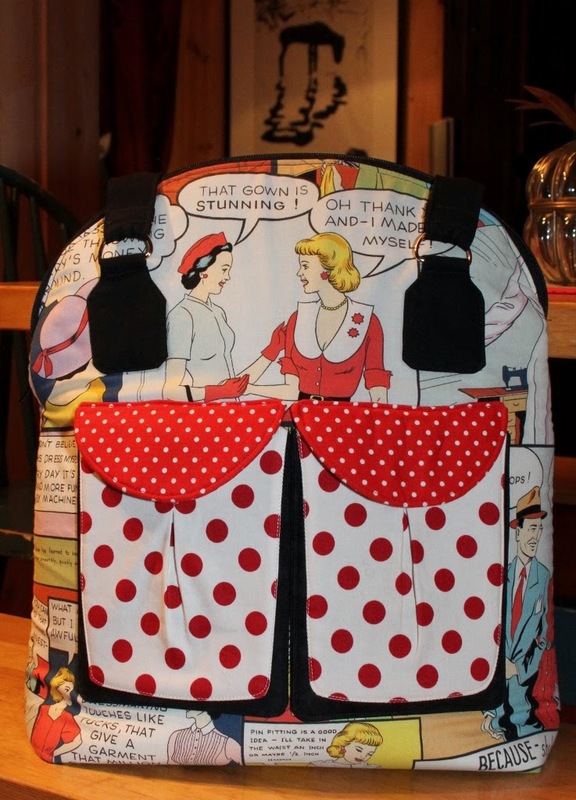 I love how you paired the comic strip fabric with the big polka dots!